Hotel Jai Malhar Residency is a fine place to stay with comfortable and cosy rooms. 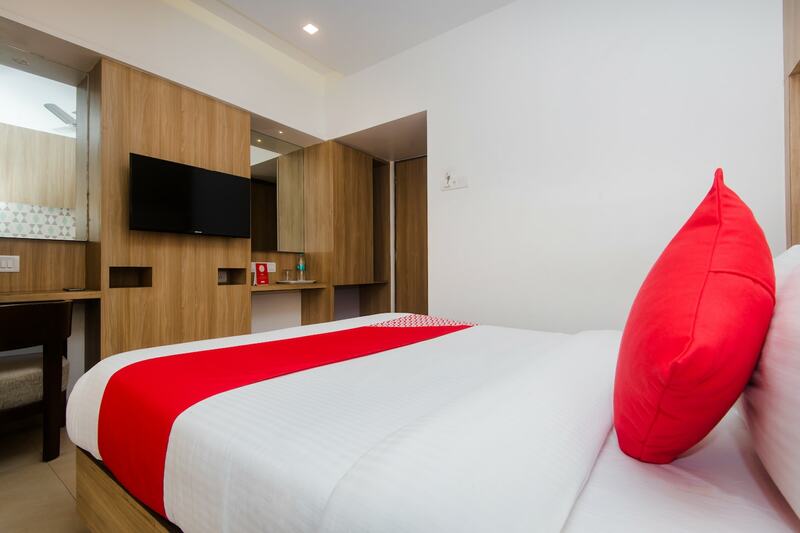 Equipped with basic and modern amenities, the rooms here ensure a relaxing stay for the guests. The modern wooden finishing in the room adds a charm to the overall decor. The in-house restaurant is a well-designed space where guests can enjoy delicious delicacies. Power backup and CCTV cameras ensure the security of the guests. For the convenience of the guests, parking facility and laundry service are also provided by the hotel. Free Wi-Fi service ensures guests stay connected to social media or can catch up with their pending work.